The Fully Finished Walk - Out Basement has everything you could want – Full Bath, 4th and 5th Bedroom, a Wet Bar and Rec room that can comfortably host a pool table where by design - you won’t hit a single wall taking your shot. All year round you can enjoy the extremely well built and thought out private backyard oasis. Tall trees, Huge Cedar Shed to save room in the Garage, Two more Outdoor sitting areas – one with a Fire-pit and still lots of green space to enjoy. Situated on at the end of a quiet Cul de Sac, WALKING distance to 3 Schools, Close to numerous amenities and the South Hospital. Completely ready to move right in! So many opportunities in this home, SUITE potential on the lower level or, being close to numerous schools, a Day home is a valid possibility with exterior access to the Finished Walkout level. 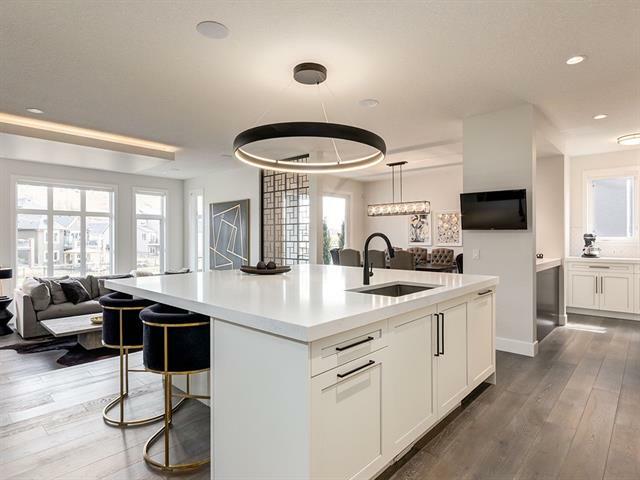 153 Cranwell BA Se, Calgary, Alberta, MLS® C4223846 T3M 1E8 is a Detached, 5 bedrooms, 4 bathrooms, approximately 2,364 Sq. Ft. Listing price 659,900.00. This property was built in 2006.